Since we've gone off-topic discussing old cars, my first was an Austin A35. It averaged 36mpg however it was driven and the fuel tank didn't cost much to fill since it only held 5.7 gallons so would need to be refilled at about 180 miles. The Zenith carburettor needed frequent maintenance to keep the engine running smoothly. I had removed it so many times that I could do it my torch light to take it indoors for cleaning. The heater was an optional extra, which the car had, at least until I blanked it off as it was leaking. The advertised 0-60 time was just under half a minute, helped by a very light gear change. The Consul 0-60 time is reported as 28 seconds (though I believe that was actually 0-50) and the Wyvern, 37.2 seconds. I love that. 37.2. As if the 0.2 mattered, ha ha. Those were the days. My first cast was Morris 1000 with the 1098cc engine. So basic and easy to understand. I had it when I was an student trainee at a defence electronics firm in 1979 and for an electronics project I built a digital rev counter for it, using nuclear EM pulse resistant TI 54xx series chips. I thought Morris minors were already bombproof. I must admit to fitting electronic ignitions to a few cars though. 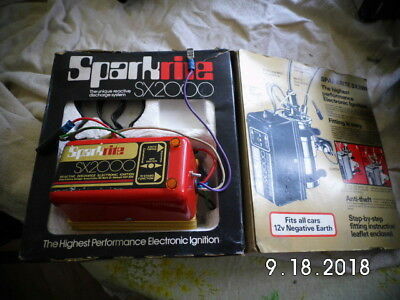 I fitted a Sparkrite electronic ignition to my FIAT 126. It didn't last long, I think due to the heat from the air cooled engine, so I built my own on a Maplin PCB. The idea was, if I built it I would be able to repair it, but it worked flawlessly until the car went to the great scrapyard in the sky. I had mounted it on the rear parcel shelf, to keep it out of the heat. Bombproof, but sadly not rustproof. Interestingly, a few years later I had a 1500cc Spitfire which appeared to me to have a very similar engine. Was really easy to work on too given the way the whole front of the car hinged up for access allowing you to sit on a wheel to work. Was really easy to work on too given the way the whole front of the car hinged up for access allowing you to sit on a wheel to work. We had a Triumph Herald, which was exactly the same. I have driven a few of them, the back axle soon teaches you to respect it! I almost bought a 1600 Vitesse, from a neighbour, but after making the arrangements he decided to hang on to it. 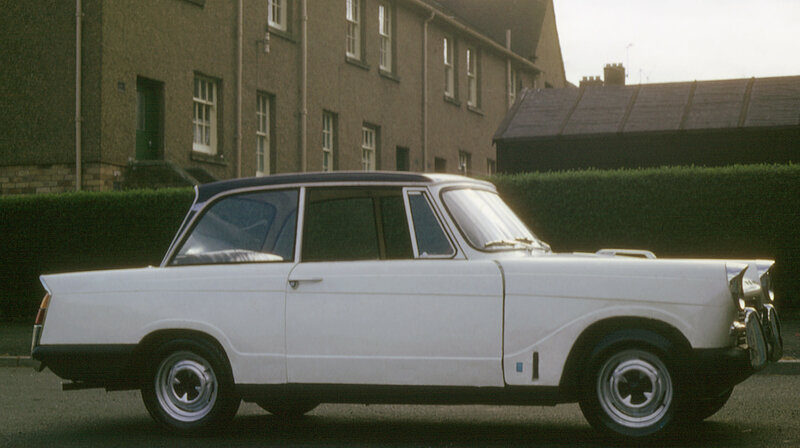 I was going to suggest the Austin A series engine https://www.aronline.co.uk/facts-and-figures/engines/engines-a-series/ but that only went to 1275cc, so a 1.5 litre would be the B series https://www.aronline.co.uk/facts-and-figures/engines/engines-b-series/ . The engine layouts had much in common. The A-series engine deserves a place in the motoring hall of fame. Splayed rear wheels? The Spitfire had that. Made for interesting cornering indeed, especially in the wet. Always fancied upgrading to a GT6, the 2 litre, 6 cylinder (in-line!) hard top version, it only ever managed to get the wooden gear knob from one. Probably saved my life as I reckon it would have been mad to drive. The Heralds and Spitfires didn't use the BMC A or B series engines at all, but a derivative of the old Standard Pennant engine. All small four pot motors looked very similar back then. Yes, a well designed engine (some of the first cars built by Datsun / Nissan were Austin A40 - I used to work with people when I was an apprentice who had to go to Japan to install the production lines ). Also Japanese Engineering standards are heavily based on British Standards. Interesting quote from article, just what I was saying about i-DSi engine being more driveable than the later i-Vtec lumps, and in my experience better mpg. British Leyland was keen to update the old A-series design in the 1970s. However, attempts at replacement, including an aborted early-70s Rover K engine and an OHC version of the A series, ended in failure. During the development of what would become the Austin Metro, engineers tested the A series against its more modern rivals and found that it still offered competitive (or even class-leading) fuel economy and torque for its size. While in the 1970s the A series had begun to seem dated against a new generation of high-revving overhead cam engines, by the end of the decade a new emphasis on good economy and high torque outputs at low speeds meant that the A series's inherent design was still well up to market demands. This thread demonstrates what a boringly reliable car the Jazz is. I have yet to hear of anyone laying in a wet gutter fixing the oily bits of their jazz. Even the fuel gauge and reserve tank seems to be reliable, right up to the point where the car stops when the tank is empty.